The keynote speaker John Zogby is an internationally respected pollster, opinion leader and best-selling author. He has polled and consulted for a wide spectrum of business, media, government and political groups including Coca-Cola, Microsoft, CISCO Systems, St. Jude's Children's Research Hospital and the US Census Bureau. Our speaker John Zogby was a professor of history and political science for over 2 decades before achieving renown as a pollster. “All hail Zogby, the maverick predictor” decreed The Washington Post when Zogby accurately polled the 1996 presidential election. He continued to with the same precision for the following two presidential elections and his presidential polling remains among the most accurate through five elections. He has since served as an on-air election analyst for NBC News, BBC, CBC, ABC (Australia), and has been featured by the Foreign Press Center in Washington every election night since 1998. 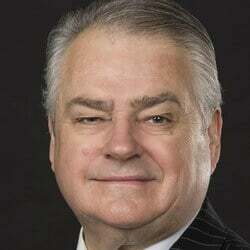 During his career he conducted polls for Reuters News Agency, NBC News, the New York Post, Atlanta Journal and Constitution, Houston Chronicle, Miami Herald, among others. John Zogby has been the recipient of several awards. In 2005, he was awarded Honorary Doctorate Degrees from the State University of New York and the Graduate School of Union University. In 2009, Zogby received an Honorary Doctorate Degree from the College of St. Rose. In 2008 he was awarded the Chancellor’s Distinguished Fellows Award from the University of California Irvine. He has also received special awards from the American Task Force for Lebanon and the Arab American Association of Greater Houston. Called “The Prince of Polling” by political strategist Mary Matalin, John Zogby’s interactive methodology is a leader in the industry. 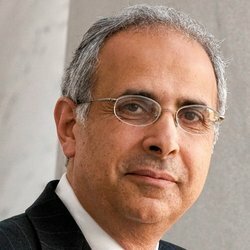 Zogby writes weekly columns on Forbes.com, is a founding contributor to The Huffington Post, and has had his analysis published on the opinion pages of the New York Times, Wall Street Journal, Financial Times, and publications worldwide. He is author of the best-selling “The Way We’ll Be: The Zogby Report on the Transformation of the American Dream” and co-author of “First Globals: Understanding, Managing, and Unleashing Our Millennial Generation” (with Joan Snyder Kuhl). His book “We Are Many, We Are One: Neo-Tribes and Tribal Analytics in 21st Century America”, emphasizes a new paradigm for moving beyond demographics by allowing people who participated in the survey research to define themselves based on their attributes and values. The result is a bottom-up approach to segmentation analysis. Widely recognized for his work in both academic and mainstream media circles, John Zogby’s Polls have been cited frequently in popular culture, including NBC’s West Wing, CW’s Gossip Girls, Netflix movie House of Cards, Richard North Patterson’s novel “The Race”, game shows such as Cash Cab, and the 25th Anniversary edition of Trivial Pursuit. Zogby Polls have been regularly cited on The Tonight Show and spoofed on The Late Show and NPR’s All Things Considered. He has been profiled by Fortune Magazine, The New Yorker and Investor’s Business Daily and has appeared on every major U.S. television network, the BBC and scores of U.S. broadcasts including the Daily Show with Jon Stewart. Based on seven years of research and a super sample of 6,400 respondents, Tribal Analytics™ predicts human behavior in a world connected less by geography and demographics and more by shared interests and social media. 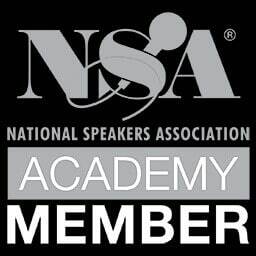 Our speaker John Zogby takes you beyond the pigeon holes of demographics to 11 tribes sharing core beliefs, interests and behaviors—a technique that has proven more predictive than traditional indicators like age, income or race. Providing invaluable insights for marketers, human resource professionals, political strategists, lawyers choosing juries and anyone looking to forecast behaviors, this fascinating presentation will give you a deep understanding of what really motivates people—and how you can deploy these insights to your organization’s advantage. Today’s voters are younger, less white, and more informed. He delves into the prospects for the political parties and independents of the future, and explains that any political party wishing to successfully relate to this new kaleidoscope of constituents, must have a strategy in place to answer new questions and concerns held by a growing and increasingly diverse mosaic of Americans. By the end of this presentation, the keynote speaker John Zogby will leave audiences with a plan, and the poise, to recognize evolving political dynamics and expectations, as well as the awareness of how to address these demands to succeed, on either side of the aisle. These tech-savvy consumers prefer “being connected” over material wealth and care about value over glitz. They want the steak, not the sizzle. Since they only have only so much to spend, they want to spend it wisely. In increasing numbers, they want to be part of what is right, not just what is popular – including being on the right side of the environmental and human rights equation. Our speaker John Zogby will help you understand how this new consumer trend will impact you in the future and how can you turn this trend to your advantage. In the most comprehensive research yet, the sought-after speaker John Zogby explores America’s “First Globals” – Americans born between 1979 and 1993 who are networked worldwide; who monitor global sports, fashion, and music; who, out of any age group, are the least likely to think American culture is superior to any other culture; and who are most reluctant to go to war against people who listen to their music and dress like them. They are having a huge impact on the workplace, on NGOs, on home ownership and housing, and on the meaning of community. “America’s First Globals are exciting to watch, but I am worried about a growing subset who are just losing hope,” Zogby says. “Are we wasting significant human capital? How do we salvage the leaders of our next economy and planet?” he asks. The answers he provides in this keynote are both poignant and insightful. The “splendid isolation” Americans enjoyed has now vanished due to communications technologies and savvy citizens who watch the BBC, Al Jazeera, CNN, and even Russia Today. But just as we have become more interested in what lies beyond our borders, the rest of the world is now watching us more closely than ever.